Aloo tamatar ki sabzi recipe is one of the easiest. 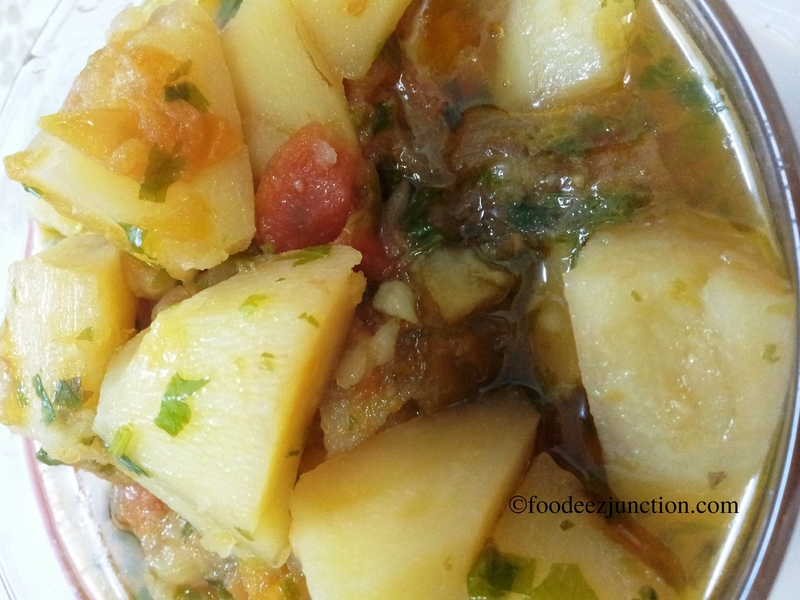 Aloo tamatar ki sabzi is a great combination of cooked veggies potato and tomato. If you are in a hurry and are getting late for work, you can cook this dish within 15 minutes or less than that. Yes, I’m right! All you have to do is to peel and cut the potatoes in small cubes and pressure cook it by adding tomatoes with onion, green chillies and coriander. And Salt too! 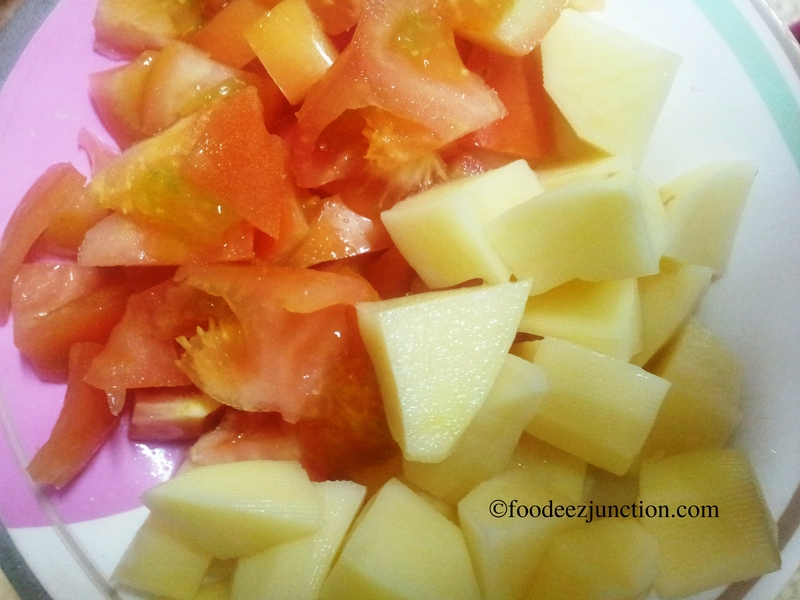 Tomatoes give a taste of sourness to the dish which takes the dish to another level. Potato is a healthy vegetable as it contains lots of vitamins. 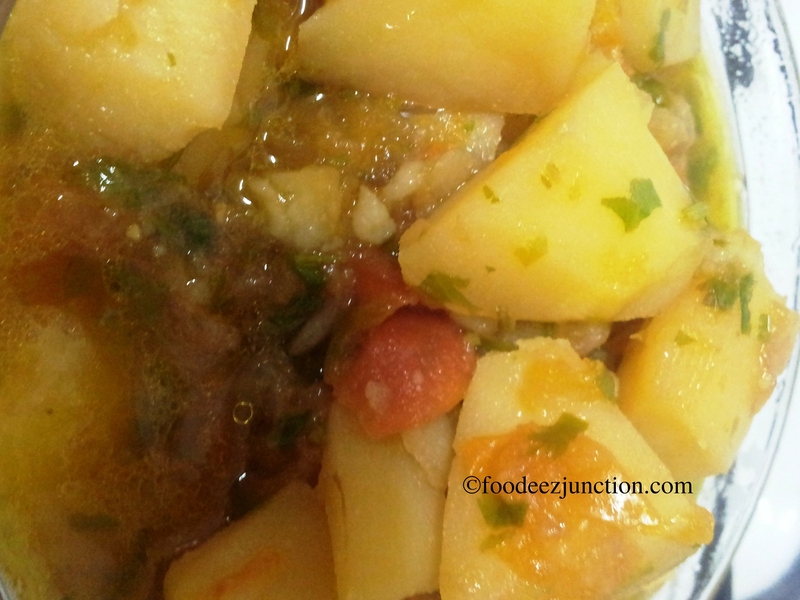 Let’s have a look on Aloo Tamatar ki Sabzi recipe. Heat oil in a pressure cooker or wok. I had used pressure cooker because it the aloo tamatar ki sabzi cooks faster in it when compared to wok. Add thinly sliced onions. Fry it till it become translucent and soft. No need to fry till golden brown as it will change the colour of your dish. Add salt to the onions. After that add chopped tomatoes and green chillies. If you want it to be more spicy, you can add red chilli also. Saute till the tomatoes turn soft and mixes with onions. It will take approximately 5 minutes. Meanwhile peel, cut and wash the potatoes in small cubes. Add the potatoes to the onion-tomato masala gravy. Add little water. Cover the lid of the pressure cooker. Cook for 3-4 whistles. We are almost done! Your simple and amazing Aloo tamatar ki sabzi is ready. Transfer it into a serving bowl. Garnish with coriander leaves, have it straightaway with parathas, puris or chapatis or rice or pack the sabzi in your lunch box. If you are taking a wok to cook, same process should be followed. Adding little bit more water so that the aloo sabzi gets cooked properly and cover the lid.